Comments: The Turquoise Puya is a terrestrial bromeliad from the mountains of Chile. 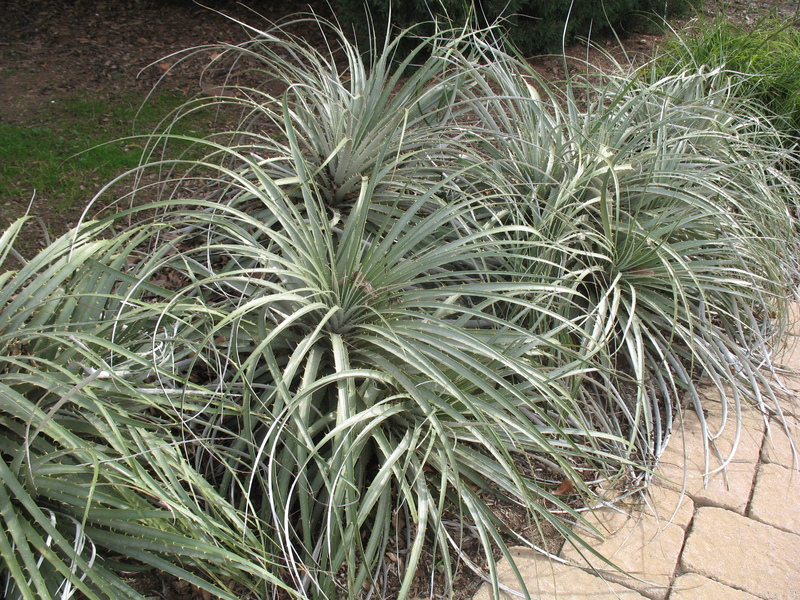 It forms a rosette of silver-colored leaves which are quite spiny. Each spring the plant sends up a massive floral stalk about six feet tall. It is covered with exotic emerald-turquoise flowers. Reported that birds love to sit on the outward tips of the flowers and drink the nectar from the blooms. Unlike many bromeliads this one grows in soil like cacti and succulents. Grows well in containers provided plants are protected from freezing temperatures.